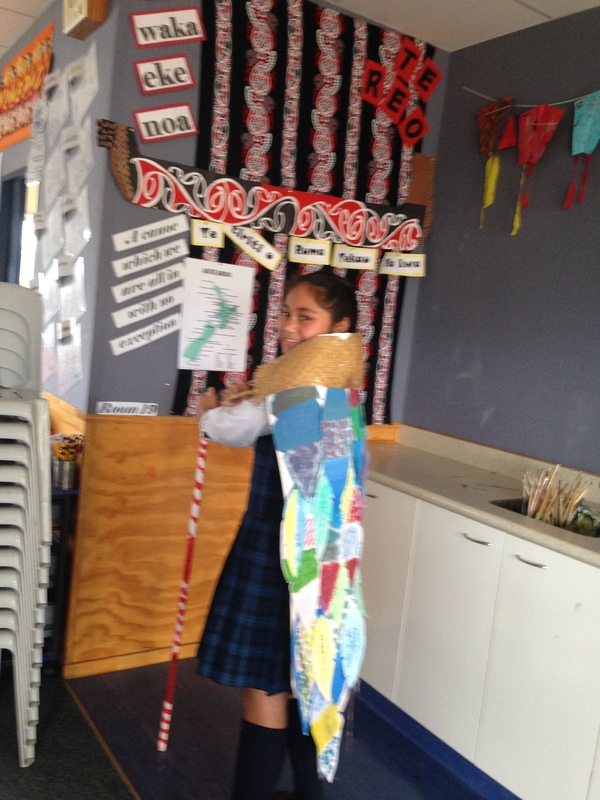 Snapshots of Matariki Week Celebrations! What a great way to end the term by extending our Matariki Celebrations right through to Book Week. 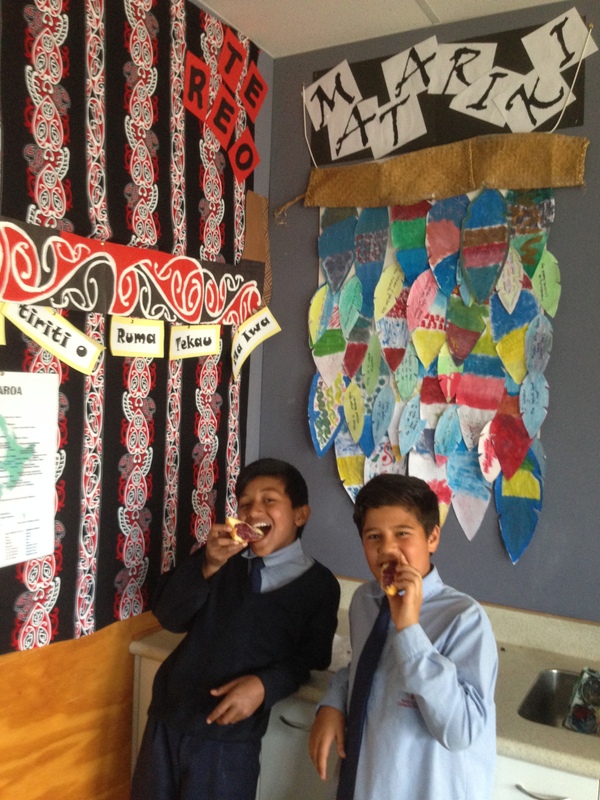 We celebrated by making a class korowai and painted our rākau sticks before playing Mauī, Matau. We made porotiti and most of us either made or tasted rewena bread. In addition to making kites there were plenty of games played including knuckle bones Kōruru and sang waiata E pāpā Waiari playing with ti rakau (short sticks). It was an enjoyable time of reading Māori Myths and Legends as a syndicate and engaging our creative thinking by innovating on these texts. There were some great arguments written about why Matariki should be celebrated as a public holiday but one of the highlights would have to be the whole school haka! Class Korowai. Includes individually painted A3 sized feathers showing our painting techniques and smaller feathers embed with our inquiry questions. R19 boys enjoying Rēwena bread made by our R18 neighbours. Great job Atawhai chefs! 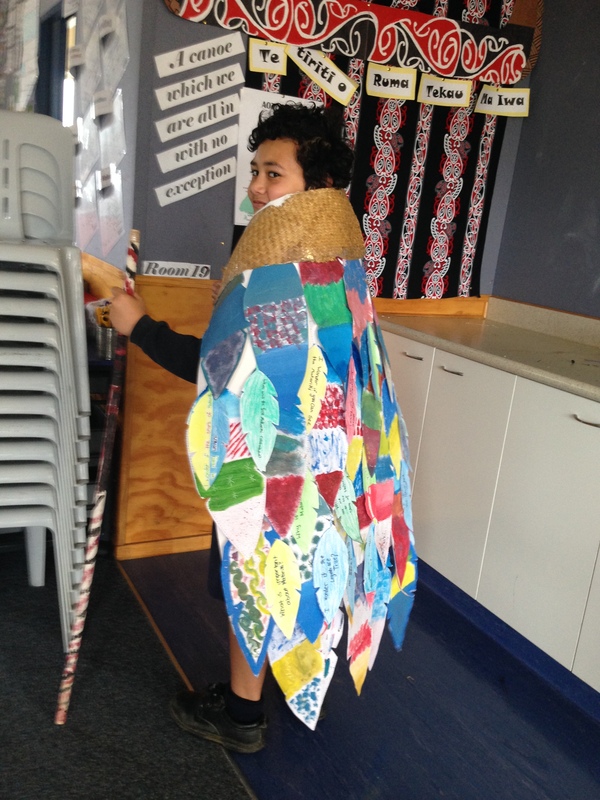 Mostly everyone had a chance to wear the class korowai before it was displayed proudly on our class wall. 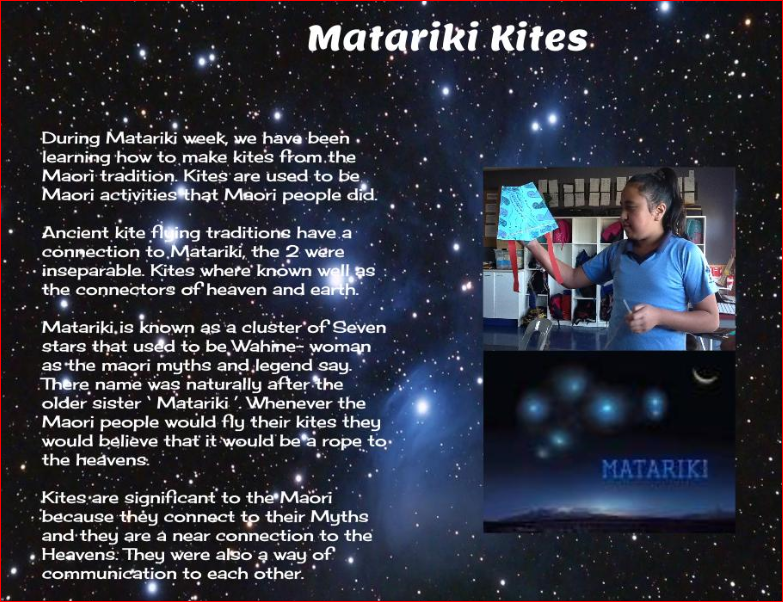 A reflection by Grace Stowers Y5 – The Significance of Flying Kites during Matariki celebrations.